Gord Hill is an indigenous author, anarchist, antifascist and militant, a member of the Kwakwaka’wakw nation living in so-called British Columbia, Canada. Gord is also graphic artist and comic book author who most recently published The Antifa Comic Book, out from Arsenal Pulp Press, and runs the website Warrior Publications and sometimes publishes under the nom-de-plume of ZigZag. 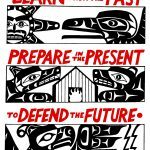 For the hour we speak about his writings documenting indigenous resistance history in the so-called Americas (mostly with a focus on Turtle Island), antifascist organizing, intersections of indigenous struggle and anarchism and critiques of Pacifism (see Gord’s “Smash Pacifism” zine). Some of the points of resistance that we cover include Elsipogtog (Elsipogtog in 5 Minutes video at sub.media), Idle No More, The Oka Crisis (“The Oka Crisis in 5 Minutes” video at sub.media), Stoney Point/Aazhoodena (another 5 minutes video by Gord), Gustafsen Lake (we didn’t talk about but another 5 minute video), the Zapatista Rebellion and the Unist’ot’en Camp resistance to pipelines in so-called B.C. We are deeply saddened to report that Rayquan Borum has been found guilty of possession of a firearm and second degree murder with him being sentenced to 25/26 years in a cage. We knew it would be difficult to receive a fair trial in the same court that allowed Officer Randall Kerrick to walk free for the murder of unarmed Jonathan Ferrell. We know the police will continue to kill Black and brown folks and escape accountability. We suffered extreme suppression from the judge from the start of the trial. Even though the medical examiner testified there was a 51% chance that ANYTHING else killed Justin Carr, Judge Hayes would not allow any testimony naming the police. Of course, it is far easier to scapegoat a random Black man than to launch an investigation into the same police force that killed ONLY Black people in 2015. We also know that Justin Carr would be alive were it not for the Charlotte Mecklenburg Police Department murder of Keith Lamont Scott (no trial for that officer, of course). We know that the Mecklenburg County Courts disproportionately sentence Black and brown bodies to time in cages. We know that CMPD disproportionately arrests Black and brown folks. Black people are 30% of Charlotte’s population and make up about 70% of the jail population. We know that this is the American Way. In response, we will continue to rise up and resist this colonized nation and work toward building a more decolonized world, for all of us. A few house keeping notes about the show. We’re happy to announce that The Final Straw is now available on the Pacifica Radio platform for affiliate stations to pick up more easily. If you, dear listener, live in an area where we aren’t on the radio but there’s a community station that airs programming from the Pacifica Network, you now have a WAY easier IN to bug the station’s programming director with. If you want us on your airwaves, check out our “broadcasting” tab on our website and reach out to a local radio station. If you have questions or want help, reach out to us and we’re happy to chat. We hope to have a some more terrestrial broadcast stations to announce soon. Actually, yah, that was the only note. Tee hee. Otherwise, if you want to hear me, Barchive is linked up in our show notesursts, Dj’ing a 2 hour set of punk, goth and electronica on AshevilleFM, an archive is linked up in our show notes that’s available until March 12th. If you’re in the Asheville area, there’re a few events coming up on March 16th of note. At 11am at Firestorm books, a participant in the Internationalist Commune, a self-organized collective in Northern Syria, will join us for a video chat about the revolutionary movement to transform Kurdish territory into a stateless society. Later, across town, there’re a couple of Blue Ridge ABC events at Static Age on Saturday, March 16th. From 3-5pm there’ll be an N64 Super Smash Brothers tournament with vegan philly cheese steaks and fries available, and then from 9pm onward an antifascist black metal show featuring Arid from Chicago, plus local bands Rat Broth and Feminazgul. 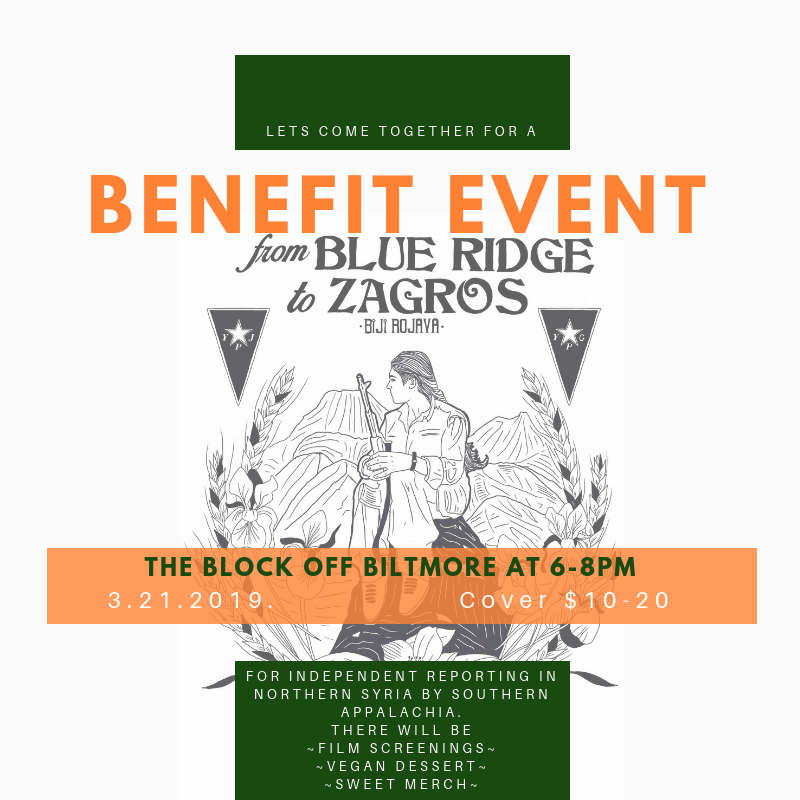 Then, a reminder, that on March 22nd at the Block Off Biltmore is a benefit for info-sharing between Southern Appalachia and Rojava. The event will include a discussion, a short documentary showing, vegan desserts and nice merchandise. For more info, check out the flyer in our shownotes from March 3rd, 2019. As the cases proceed against the Vaughn17, 17 prisoners on trial in Delaware for a prison uprising following the election of Trump as president, an uprising sometimes compared to the Lucasville Uprising, repression continues. The State of Delaware retaliated against defendants in the Vaughn uprising trial last week, by moving them out of state to Pennsylvania. Kevin Berry, Abednego Baynes, Obadiah Miller, Johnny Bramble, Dwayne Staats, and Jarreau Ayers were all transferred to solitary confinement at SCI Camp Hill, a maximum security facility. They joined Deric Forney, who was transferred weeks earlier in January. Berry, Baynes, and Forney have all been fully acquitted on all charges. There are nine defendants who are still awaiting trial. New trial dates for groups 3 and 4 are scheduled for May 6th, 2019, and October 21st, 2019. 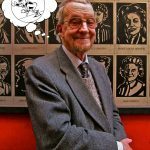 This week on The Final Straw we’ll be airing the second half of our interview with anarchist, author and cartoonist nonagenarian, Donald Rooum from Bradford, West Yorkshire, England. Donald has written introductions to anarchism and has been a leading organizer in movements in the U.K. against nuclear war, the death penalty and the use of corporal punishment against children in schools. This summer, Bursts and William found their way to London and were delighted to sit down and chat with Donald in the East End hear his stories. In the first portion of this chat, which aired on July 29th, 2018, Donald spoke about his beginnings in anarchism, his art studies, his time creating the Wildcat comics for which he’s best known, anarchists of his time from the 1940’s through today and his activism mentioned above. Now, you’ll hear about Donald Rooum’s “15 minutes of fame” in which he was nicked on his way to a demonstration against a visit to London by King Paul of Greece and Queen Frederika in 1963 and charged by Detective Sergeant Harold “Tanky” Challenor for carrying a brick to the demonstration. The problem for Donald is that the brick was placed in his pocket by Challenor while he was in police custody. The problem for Challenor is that Donald was smart enough to realize this, collect the proof of the framing attempt and successfully defend himself in court against the charges. In what became known as the “Challenor Affair”, Donald’s self-defense shook the public trust in policing in the U.K. and lead to the Detective Sergeant’s downfall for corruption. Donald also talks about the case that overshadowed the “Challenor Affair” at the time, known as the Profumo Affair. 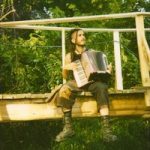 After that, Donald defends the work of Max Stirner on Egoism, Benjamin Tucker’s translation and it’s mistakes, Eddie Shaw (mentioned in this libcom article) and the Glasgow anarchists of the 1940’s, multi-generationality in anarchism, human nature and anarchism, Rojava, and Murray Bookchin. Of note, Donald confuses Murray Bookchin’s “Social Ecology” ideas with the “Deep Ecology”, which Bookchin railed against. Check out our website. There you can find our past episodes going back to 2009, as well as easy ways to subscribe to our podcast so that you never miss an episode of The Final Straw, our occasional tech security podcast Error451 or B(A)DNews: Angry Voices From Around The World (our latest here), an English-language podcast from the A-Radio Network of which we are a part. You can also find our contact information, info about following us on the various anti-social medias, as well as how to donate. This week’s episode is part one of two (keep an eye out for part two in the future). Most of this show post is notes about repression updates, calls to take part in demonstrations and to support repressed prisoners. YAY! 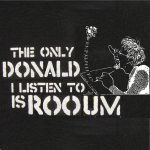 This week, we invite you to listen in on the first part of a conversation we had with 90 year old anarchist, cartoonist and author, Donald Rooum. Donald was born 1928 in Bradford, UK. Donald is most known for his longtime illustration of the wiley, bomb-throwing, firebrand anarchist cartoon character, Wildcat. In this episode, Donald talks about his early political trajectory and development from childhood involvement during World War II in a Communist Party front group into anarchism via the speakers corner in Hyde Park. Donald talks about the Malatesta Anarchist Club, his artistic development and love of cartooning and engagement with activism to stop corporal punishment in schools in the U.K. and ideas about social change and anarchist intervention. Donald’s work was recently the focus of an animated film by film-maker Adam Luis-Jacob. Here’s a brief biography with some of Donald’s art (including some Wildcat comics). Nicole Kissane, indicted in 2015 for conspiracy to violate the Animal Enterprise Terrorism Act via releasing thousands of animals from fur farms and destroying breeding records in Idaho, Montana, Iowa, Minnesota, Wisconsin and Pennsylvania, was released after 21 months in federal prison. She still has 3 years of supervised release, but she’s out from behind the actual bars. Welcome home, Nicole! First, coming up fast in early August, fascist and proto-fascist groups are trying to build up some steam for the one year anniversary of the Unite The Right rally on August 12th. The Islamophobic and Western Chauvinist groups Patriot Prayer and Proud Boys are calling for a demonstration and plan to amass a large and likely violent mob in Portland, OR, on August 4th. Antiracists are organizing under #AllOutPDX & #StopTheHate. So a coalition called PopMob, or popular mobilization, is organizing a broad event on August 4th at 10:30 at PDX city hall and then moving at 11:30 to join the larger event at Chapman Square. You can find more information by checking itsgoingdown.org, or finding the events on fedbook called “Stop The Hate” and “Resist Patriot Prayer”. The latter is being called by Eugene Antifa & other groups and will meet up at 11:30 at Tom McCall Waterfront Park. Then a week later on the east coast of the so-called U.S. on August 12th there is a call for an Antifascist/Abolitionist Bloc to join the resistance to the far right’s call for the Unite The Right 2 at a time and place to be announced on the site ShutItDownDC.org and news can be found under the tag #DefendDC & #AllOutDC. On August 30th in Philadelphia, PA at 13th and Filbert there will be a rally during the hearing of imprisoned journalist, intellectual and former Black Panther, Mumia Abu-Jamal. From 8am til 11am people are asked to show up in support of this man who has spent nearly 40 years in prison, 30 of it in solitary on death row, for a political show trial for the killing of a cop many believe he didn’t commit. Whether he did or didn’t, Mumia was obviously railroaded for his political beliefs and his reporting critical of the Philly PD & the administration of Frank Rizzo. More on the event, including the nature of the current legal motion, can be found on fedbook. There is a phone zap in support of Lucasville Uprising prisoner and death row inmate, Siddique Abdullah Hasan, a voice you’ve heard on this show before. Hasan, a member of the Free Ohio Movement and outspoken activist behind bars for peoples dignity, is believed to be suffering similar repression as he did in the run up to the 2016 National Prison Strike. He has been transfered into the hole, likely as a way to shut him up. There is a phone zap called by the Incarcerated Workers Organizing Committee on Monday, July 30th between 9am and 5pm central time. Details forthcoming on the fedbook event. Meanwhile, Jason Renard Walker, another Texas inmate involved with the NABPP and the 2016 strikes, and a contributor to the Fire Inside zine, has managed to get released from solitary, but faces constant threats and harassment from staff, including threats to send him back to solitary on bogus charges for things as simple as asking for water and medical attention, and trying to get back into his own cell so he can use a fan to cool down. Both Malik and Jason have reported having their mail tampered with, and the explicitly political nature of this censorship was made clear in a conversation with a prison official who told Jason that any writing containing the words “black panther” would be treated as gang material. Supporting the prison strike means monitoring and opposing the repressive methods that the prison system uses to try and break it, and paying attention to the treatment of 2016 strike organizers like Rashid, Malik, Jason and others can indicate the tactics that are likely to be used more widely in the weeks to come. “Hello, my name is —-, and I am contacting you about conditions in the prisons run by the Texas Department of Criminal Justice. I demand that the dangerous conditions of extreme heat and humidity that are widespread in units such as the McConnell and Telford Units are fully investigated and rectified immediately. I further request that immediate heat relief measures are put in place, as this is especially urgent for prisoners with health issues. The prison administration needs to stop the retaliation and harassment of whistleblowers such as Keith Washington (TDCJ 1487958) and Jason Walker (TDCJ 1532092). This retaliation includes, but is not limited to, unjustified use of solitary confinement as a punishment for constitutionally protected speech, denial of parole applications, and direct threats of harm. Please be aware that the State of Texas and the TDCJ may be held legally responsible for any harm suffered by these or any other inmates as a result of the administration’s negligence or punitive actions. The practice of giving guards quotas of disciplinary reports to meet must also be stopped at once, as this leads to the generation of false or trivial reports as a way of meeting quotas. In closing, I also wish to state my support for the demands of the ongoing prison strike movement. Malik has stated that he urgently needs professional legal help in challenging the various forms of harassment he has been subjected to, particularly the interference with his mail. If you know of any sympathetic lawyers or other legal-minded folk who might be able to help, please contact them and ask if they could take the case on. Every letter they receive lifts their spirit and protects them, because it lets prison officials know they have people around them, watching for what happens to them. It should also be possible to contact them via jpay.com if you prefer. If you live in an area with a community radio station, one of those that isn’t run by something like ClearChannel and just bumping the top 40’s hits nor one that’s preaching a gospel of pie in the sky when you die, consider helping us get onto your local airwaves. Community radio is often a shoestring venture with little locally produced content and is often happy for suggestions of what may bring listeners to their airwaves and get involved in local media and activism. If you are one of the lucky ones who lives near one of these stations, you can email the station or programming director and say that you are an avid listener and that you want to hear The Final Straw Radio on your local airwaves. Tell them that our show is free to air, that we produce an FCC-acceptable show that won’t get them tattled on and that we produce it consistently, each Sunday night at 59 minutes in length. You can find out more about our radio option at our website by clicking the “Radio Broadcasting” tab. Another way you can help us out might be to share our podcast with people you care about in your community. You could rate us on iTunes so more people will see us, or share us on the obnoxious social medias that we are present on which you can find links to on the kontact page of our website. While you’re sharing us, why not share the monthly anarchist news show we participate in known as B(A)D News: Angry Voices From Around The World produced by the A-Radio Network or check out the shows that share the Channel Zero Network? Or, you could drop us a line, tell us how we’re doing, comment on our shows or give us suggestions for future episodes. We are always welcome to dialogue and suggestions, though we don’t take ‘em all. Finally, you could give us a donation, one time over paypal or recurring via Liberapay, an open source donation platform from France, or Patreon. Check out our Patreon for the thank you gifts that we offer to recurring donators. We have shirts, buttons, stickers and other swag up on there. See something you like but can’t afford a monthly donation? Send us an email and we’ll see what we can work out. The money goes to cover our production costs and save up for travels to conferences and events where we can get you more of that anarchist audio that you crave. Thanks so much! Margaret Killjoy is an author, designer, musician, cartoonist and a proponent of an artisanal anti-civiliization anarchism called Post-Civ. We speak about subcultures, storytelling, technology and myth.